Jess completed her 200-hour and 300-hour Kunga Yoga Lifestyle and Teacher Trainings with Kristin Cooper and the Kunga Yoga School. She went on to complete a professional development mentorship with Kristin Cooper and Loren Gulak and has been co-leading 200-hour Kunga Yoga Teacher Trainings since 2014. Jess has been dedicated to a yogic lifestyle since 2007, and in 2013 she co-founded Village Yoga, a social entrepreneurship and yoga studio on the Outer Banks of North Carolina. Jess has also taught with non-profits and in retreat settings in Mexico, Costa Rica, and India. She has received a certificate in 5Elements Vinyasa Flow, with advanced studies under the Kunga Yoga Methodology in Power Vinyasa, Restorative & Senior Yoga, Prenatal Yoga, Kids Yoga, and Yoga for PTSD and trauma sensitive populations. She has also studied with other inspirational teachers such as Kathryn Budig, Michael Johnson, Rolf Gates, Katie Silcox, Maty Ezraty, and Tiffany Cruikshank. Within her classes Jess enjoys creating a spiritually and physically progressive yoga practice that challenges her students to unlock their ultimate potentials and strive for their highest selves. When she’s not on the mat you can find her in the ocean riding waves, or searching for beach treasures with her dog, Waylon. Kate is a 200hr Kunga Yoga instructor who is committed to sharing the benefits of uniting mind, body, and spirit in a welcoming community space through the practice of yoga. Addicted to movement from a young age, Kate was a competitive gymnast and springboard diver through college. After completing her Ph.D. in Oceanography in 2010, Kate moved to the Outer Banks and began searching for a new physical activity to serve as a lifelong sport. Kate discovered yoga in 2014, and was immediately drawn to the physical discipline and concentration required for the practice—as well as the chance to hang out upside-down again. Through a dedicated daily practice, Kate began to recognize not only the physical benefits of yoga, but also the transformational power of linking movement and breath in reducing stress, increasing focus, building community, and discovering the present moment. Deciding to take her practice to the next level, Kate completed her 200 hour teaching certification with Village Yoga in August 2017 under the guidance of Katie Kennis and Jessica Moody. Kate strives to create dynamic flows in her classes that encourage her students to safely explore new asanas through proper alignment and foundational strength building. When not practicing yoga or studying the coast as a research scientist at the Duck Research Pier, Kate can be found surfing, exploring with her Siberian Husky, Chloe, or handstanding just about anywhere. Allison came to yoga over 20 years ago for the physical practice, and stayed for the calm, clarity, and peace of mind she found there. She enrolled in her first 200-hr yoga teacher training primarily to deepen her own practice, but after completing the program with Amalam School at Outer Banks Yoga, she couldn’t wait to share her newfound knowledge with others, and immediately began teaching. In 2017, Allison attended a workshop with Phoenix Rising Yoga Therapy founder Michael Lee at Satchidananda Ashram – Yogaville, and was inspired by the Phoenix Rising method of tuning into the body to stay present and aware, allowing attention to temporarily shift away from the constant hum of the narrative mind and toward the present-moment experience. The method worked for her, and Allison enrolled in Phoenix Rising’s 500-hr yoga teacher training in January of 2018. She will complete the program in August 2019. Allison is strong believer in the benefits of yoga in treating addiction, eating disorders, stress, and anxiety, as well as yoga’s overall benefits to physical, mental, emotional, and spiritual well-being. She has trained under Nikki Meyers in Yoga for 12-Step Recovery, and received her Restorative Yoga Teacher certification from Amalam School in Kitty Hawk. Over the years, Allison has experienced first-hand the benefits of yoga and has turned to her practice time and again to stay present and grounded, even during times of change and upheaval. She is so grateful to have the opportunity to share the gift of yoga with her students, and looks forward to each and every class with tremendous joy and gratitude. Sandy was first introduced to yoga by her mother when she was a child. She began a regular practice in the 70’s while living on the west coast. It was then that her curiosity and interest grew about yogic philosophy and the teachings of the ancient yogis. After moving back east in 1985, she became a student of Swami Satchinananda and Intregal Yoga. His philosophy of “Truth is one, paths are many” remains a guiding principal in her life. In 2010 she was first exposed to yoga nidra at a stress management conference at the Sivananda Ashram in the Bahamas. This method of guided meditation became a regular practice and in March 2015 Sandy began her studies with Guru Amrit Desai and was certified to teach yoga nidra at Amrit Institute in Florida. Sandy uses the principles of yoga with students to help them relax in the present moment and to contribute to their wholeness and aliveness through relaxation. The beauty of yoga nidra is that it is available to almost anyone and the benefits are numerous. Sandy believes that teaching yoga nidra is an extension of her personal spiritual disciple that enriches her life and helps others. Denise DeCarlo (E-RYT-200) is certified in Hatha Integral Yoga, a practice that combines asana, breath-work, and meditation to achieve physical and mental stillness for inner peace and joy. She began practicing in the 1990s, certified to teach in 2002, and completed her 200 – hour certification with Vimala Ren Fields of the American Healing Arts Studio in Virginia in 2007. In addition to her yoga, she is an exercise physiologist with experience in studios, fitness, and medically-based wellness centers. Denise brings a deep knowledge of anatomy and an ability to help all students find the love and stillness in every pose. As well as yoga, Denise is also a certified personal trainer with extensive experience helping young athletes to mature adults achieve individual goals including weight loss, strength training, and sport specific skills. She also holds an ACE Therapeutic Exercise Specialty certification that addresses cardiac and pulmonary conditions, and populations with obesity, diabetes, and pre-natal/post-natal concerns. Additionally, she is certified in Pilates, Barre Above, and Spinning. As an educator, Denise has presented talks on stress reduction, aromatherapy, and meditation in settings ranging from large corporate trainings to small groups. Denise feels that as a teacher, one is still always a student, and strives to have the inquisitiveness of a beginner’s mind. Her desire is to bring laughter, light, and love to her students so that they can leave with a smile, walk a little lighter, and love a little stronger. Laura is a Jivamukti Yoga 800-hour certified teacher and holds the highest accreditation available through the Yoga Alliance (E-RYT 500, YACEP). She has been practicing yoga for more than 25 years. She studied for 10 years directly under David Life and Sharon Gannon, founders of Jivamukti Yoga, before completing their last year-long teacher training program in 2001. Laura taught at the main Jivamukti center in New York City for 5 years, and has been a guest teacher at the centers in Munich, Germany, and Charleston, SC. She relocated to Wilmington, NC, in 2007, where she has taught at various yoga centers and pioneered Stand Up Paddleboard (SUP) Yoga with WrightsvilleSUP. Laura founded and directed Avatar Yoga Retreats, leading yoga retreats all over the world, in the early 2000s, and is doing so again under her own name (www.LauraGoldenYoga.com). She travels extensively, teaching at local studios, leading retreats and teacher trainings, as well as SUP Yoga classes and certification courses. Kennedy is 200-hour RYT certified in Kunga Yoga, a style of not only teaching but living that focuses on using yoga as a path of service. She began a steady practice in 2015. Kennedy registered with Yoga Alliance in the Spring of 2017 after completing her 200 hour certification with Village Yoga & Wilmington Yoga Center in Duck, North Carolina during the Fall of 2015. Her primary teachers include Noelle Whittington, Jessica Moody, and Katie Kennis. Kennedy dedicates herself to helping others through her yoga and teaching special education to students in the local community. She places a strong emphasis on self love, and cultivating positivity in her classes while also inspiring students to unlock their highest self. Off of the mat you can find Kennedy by the ocean with her dog Peedee and her camera on hand. In 2013 Olivia attended Naropa University in Boulder, Colorado, where she studied under Nataraja Kallio and Sree Devi. She received her Bachelors degree in Traditional Eastern Arts with a concentration in yoga, as well as completing 1,000 hours of yoga teacher training. Upon graduation in 2015, Olivia registered with Yoga Alliance, and used her yoga teaching as means to travel throughout Central America, where she drew on inspiration from local culture, nature, and surfing. Feeling at home within the beach lifestyle, Olivia came to the Outer Banks in October 2016 to complete the Kunga Yoga Lifestyle Program through Village Yoga and Wilmington Yoga Center, studying under her teachers, Jessica Moody and Kristen Cooper. Olivia’s classes are inspired by music, nature, playfulness, and meditation. By using Kunga teachings of service through yoga, she seeks to guide students of all levels, through exploring their mind, body, and soul in finding self love; So that all can step off of the mat feeling balanced, nourished, and inspired to share that love with the world. Erin is 200 hour Kunga Yoga and GroovyKids™ Yoga certified. She began practicing yoga in 2004, registering with Yoga Alliance after completing her Kunga Yoga Lifestyle and Teacher Training in the Fall of 2014 with Kristen Cooper, of Wilmington Yoga Center, along with Jess Moody and Katie Kennis of Village Yoga. Erin believes that yoga has the power to be a positive change in any ones life and sees yoga as a way to make positive connections. Erin’s goal is to make life changing yoga accessible for any person at any stage of life. Erin is also a Registered Occupational Therapist licensed in North Carolina, with more than 6 years of work experience in geriatrics, pediatrics and level 1 trauma rehabilitation. In 2016 Erin completed a training in Craniosacral Therapy and is currently offering sessions through village yoga. Charlee Ulmer is 500 hour certified in Kunga Yoga, an open style of mind and body yoga with focused teachings on service. She began practicing regularly in the Spring of 2014 and registered with Yoga Alliance in the Fall of 2014 after completing her 200 hour certification with Village Yoga & The Kunga Yoga School in Duck, North Carolina. She completed the 300 Hour Kunga Yoga Service and Leadership Certification in 2017 at Wilmington Yoga Center; with training in 5Elements Flow, Restorative Yoga, Power Vinyasa, Yoga for Seniors, Pre-Natal, and Kids Yoga. She is currently enrolled in an Ayurvedic Lifestyle Coaching program with Katie Silcox and the Shakti Yoga School. Her primary teachers include Jessica Moody, Katie Kennis, Kristin Cooper-Gulak, Noelle Whittington, and Katie Silcox. She has also had the honor of practicing and studying with Hilary Garivaltis, Rachel Brathen, Rolf Gates, Emilie Perz, and Meredith Hogan. Charlee has lead yoga classes in retreat settings in Costa Rica, India, and Hawaii with her primary teachers. She strives to keep her classes lighthearted and fun, hoping to allow her students to find freedom in their ever-changing bodies and minds. Charlee also enjoys playing harmonium, surfing, traveling, spending time with friends and family! 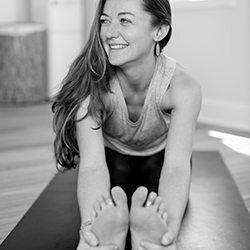 Ashley began her steady practice in 2014, and registered with the yoga alliance in 2018 after completing her 200hr certification through Village Yoga in Duck, North Carolina. She is certified in Kunga Yoga. Her primary teachers include Katie Kennis and Jess Moody. She has also studied under Charlee Ulmer. Her approach to yoga incorporates all 8 limbs, and her mission is to serve others through authentic movement, breath awareness, and meditation. She is welcoming of all levels, and enjoys teaching a variety of styles, such as: chair yoga, vinyasa flow, relaxation, and more. She wants to empower all humans through her classes. She values Integrity, Balance, Awareness, Love, Compassion, and Connection.